Autoliv Inc. will start building an airbag plant in the second half of this year in the north China city of Baoding, where Great Wall Motor Co. is headquartered. The plant will make airbags mainly for Great Wall's Haval SUVs as well as the Great Wall-badged C30 compact sedan, the automaker said. The two companies signed a letter of intent on the plant construction last week in Baoding. More details about the plant were undisclosed. Great Wall sources airbags from Autoliv's plant in the northeast China city of Changchun. Once operational, the Sweden-based supplier's Baoding plant will replace its Changchun plant to supply Great Wall. Great Wall, China's largest SUV maker, has three vehicle assembly plants in Baoding and one plant in the north China port city of Tianjin. It can build as many as 800,000 SUVs, sedans and pickups a year. Last year, the company's vehicle sales surged 21 percent year-on-year to 754,242 units. 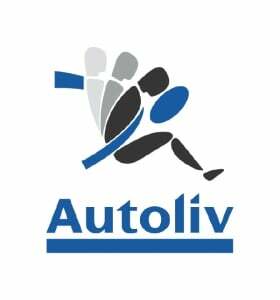 Autoliv now has 10 production facilities in China making airbags and active safety systems. Its Chinese operations employ more than 7,000 employees. Autoliv ranks No. 22 on the Automotive News Europe list of the top 100 global suppliers with worldwide parts sales to automakers of $8.3 billion in 2012.